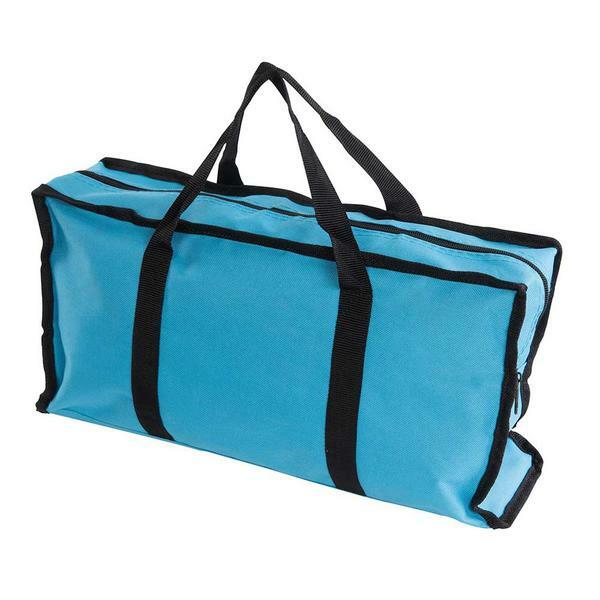 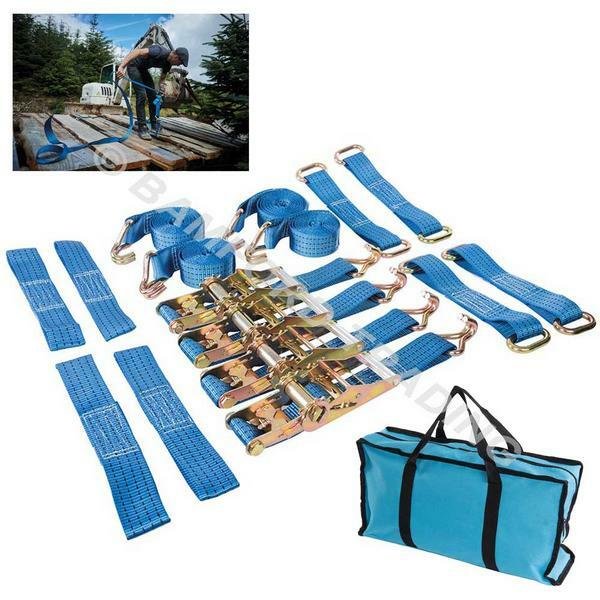 All-in-one set for DIY and contractors. 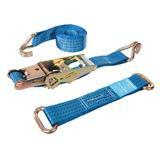 The double-locking ratchet ensures there is no risk of disengagement or loss of tension during use until the handle is released. 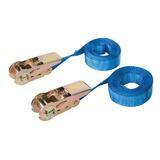 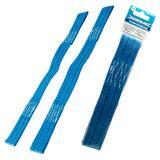 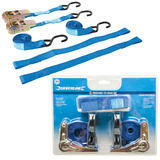 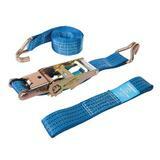 Secures cars on trailers and vans using heavy-duty ratchet tie-down and sliding wheel choker strap. 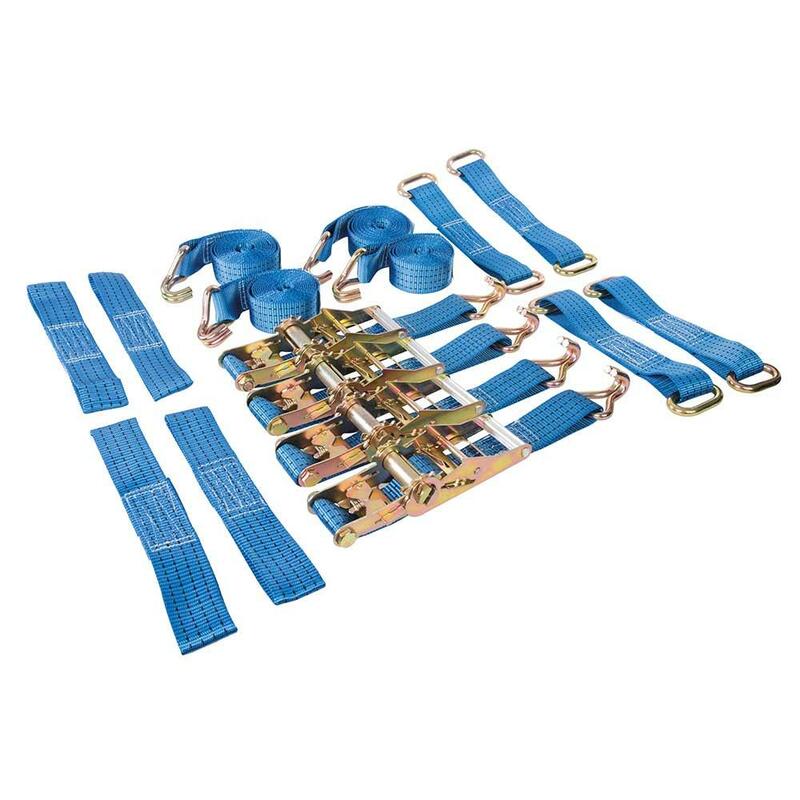 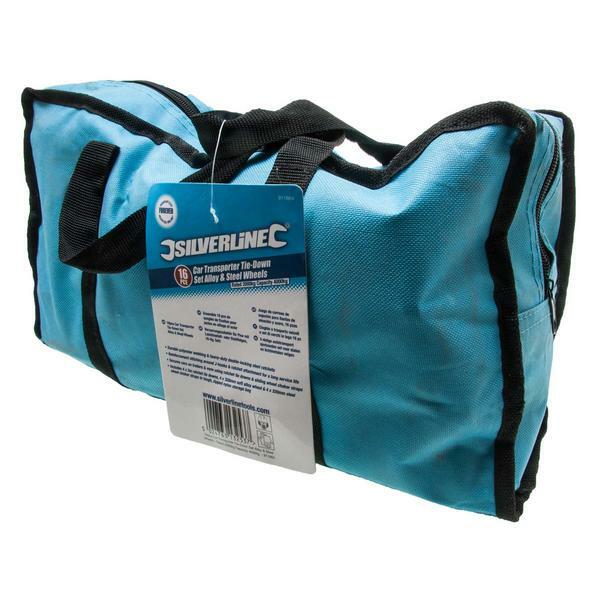 Includes 4 x 3m ratchet tie-downs, 4 x 320mm soft alloy wheel and 4 x 320mm steel wheel choker straps supplied in a tough zipped nylon storage bag.